Escape rooms are popping up in just about every major US city, and thanks to Hollywood’s stacks of storytellers and set designers, the trend’s infiltrated LA as well. There are now dozens of places throughout the city where teams of players can solve puzzles and use clues to escape a (temporarily) locked and painstakingly themed room before the timer runs out. The premise might sound challenging at first, but escape rooms are some of the coolest things to do in LA; they’re seriously fun for groups of friends or as team-building for a small company, or as a date that'll let you know whether or not you can actually trust the person you swiped right for. We tested a slew of rooms across the city to come up with the following checklist of must-try escape experiences in LA -- gather up a few of your favorite people, and start sleuthin’. In a nondescript K-town building, you’ll be initiated into a drug gang by a crew expecting you and your teammates to find all the baggies of dope and flush ‘em down a toilet in a locked room before the cops bash down the door. Totally immersive and entirely on-theme, Stash House is the rare escape room with replay value, thanks to an in-game decision that sends various groups in different directions. 60Out is a multiple-location franchise spread across the city, and their Echo Park location’s completely devoted to a game they call “The Cartel: DEA Undercover.” It’s almost the opposite of Stash House, in that you’re an undercover agent who needs to escape from the drug gang you’ve infiltrated. Our group got gummed up on some pretty frustrating stuff in this room, but the experience ends with a bang that makes it all worthwhile. The two escape rooms at Evil Genius can be played back-to-back -- and that’s what you’re going to want to do, since the story (involving an art thief framing you) crosses over between them. The rooms might look bare-bones, but that’s part of the appeal: keys, clues, and even doors are hidden in ingenius spots. Full disclosure: Thrillist contributor Wilder Shaw and his dad are the guys behind this new escape room, which is located in two shipping containers behind a small theater in North Hollywood. It’s not just nepotism that locked their spot on the list, though: the room’s full of pop-culture in-jokes and the setup (you’re tasked with disarming a nuclear weapon) is one that’s perfect for the escape room countdown trope. Just try not to MacGruber yourself. Though their Cannibal’s Den room is also pretty great, QuestRoom’s Red Giant has got a big ‘ol twist that would be terrible to give away, but literally breaks just about every rule of escape room protocol, and makes it a total must-play. The Indiana Jones-esque story (and the very, very cool special effects that go along with it) are presented in a way that’s as immersive as possible; you’re definitely going to Instagram your adventure-seeker photo when you’re done. Both of the rooms at Get The F Out are fun, but The Virus gets our pick over the more challenging Experiment for its interesting method of clue-giving: with a real-live person acting a part that totally makes sense in the story, sitting in the room with you. You and your team are scientists who’ve been exposed to a deadly virus and are tasked with finding an antidote in time; there’s some high-tech sorcery hidden throughout, as well as some low-tech puzzles that take serious brainpower to solve. Lab Rat unquestionably has the highest production value of any of the rooms we’ve mentioned so far. You’ll start off locked in a cage in which you are the rats being experimented on by an evil doctor, and (if you can get out of that first section, which is harder than it seems), you’ll be thrown into a madcap maze that takes true teamwork to solve. Bordering on being a tourist trap, Virtual Room is also LA’s first all-virtual-reality escape room (as you can probably tell by the name), which gives it sort of a more kid-friendly appeal than some of its competitors. This also gives it the ability to transport you and your team to different worlds, which is part of the fun as you solve puzzles involving dinosaurs, mummies, and the gravity on the Moon. Note: There are multiple experiences here, and your team will have to choose between them on the spot. 60Out’s Hollywood location has three rotating rooms -- and, when it first opened, the Jumanji room seemed like just a temporary promotional tie in to the (actually pretty good) Rock reboot. It’s become semi-permanent, though, and the fact of the matter is it’s actually one of the best escape rooms in LA, with stunning set design, slick special effects, and puzzles that require different players to take on different avatars from the movie. Clever! The appeal of this one-room business lies in its simplicity. 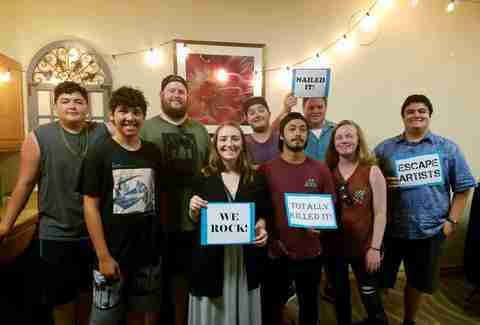 It’s on Catalina Island, which means it’s not going to be as sophisticated as its mainland counterparts, but if you’re on the island and are an escape room aficionado it’s totally worth your time: the puzzles’ homemade feel are refreshing after the whammo-bammo aspect of some of the other rooms, and there’s a strong logical element that’ll make you proud of each clue you get correct. 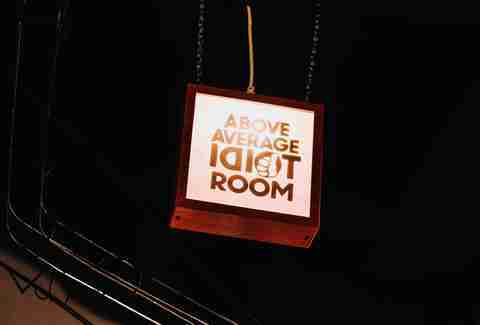 Escape room enthusiasts rightly love all four of the Basement rooms for their attention to detail and their serial story, which keeps adding new “chapters” as the business expands. The latest, room “The Courtyard,” is a tech-and-actor-heavy offering that’s fully immersive, and continues the story of Edward Tandy -- a man with a peculiar love of taxidermy. Beware: he may be coming for you. Similar to 60Out, Maze Rooms are actually all individually owned rooms under the same umbrella, so there’s not really a standard of greatness across the board. That said, one that most escape enthusiasts can agree on is World Of Illusions, with circus and magic tropes playing a part in challenging, technologically impressive puzzles. 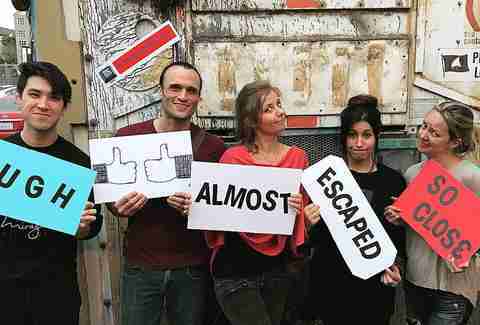 Jeff Miller is fully addicted to escape rooms and wants to play all of them. Did he miss a great one? Let him know at @jeffmillerla on Instagram.